Published on October 31, 2011 November 21, 2011 by cara.b.b. happy halloween to you one and all! hope you have something really fun planned – be it a wild costume party or handing out candy at your door. my plans involve the latter and a chipotle burrito bowl, and i must say, i’m pretty excited about it. 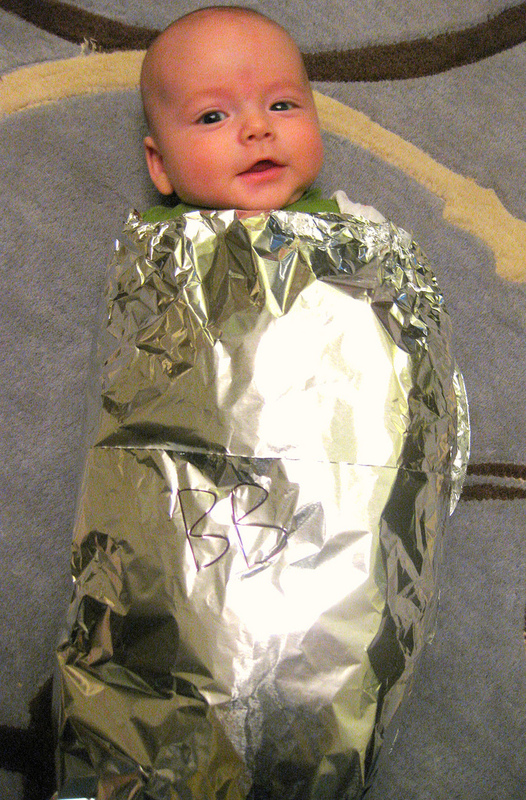 i’ll leave you with a picture of our little chipotle burrito from last year. my, how our little nugget has changed.